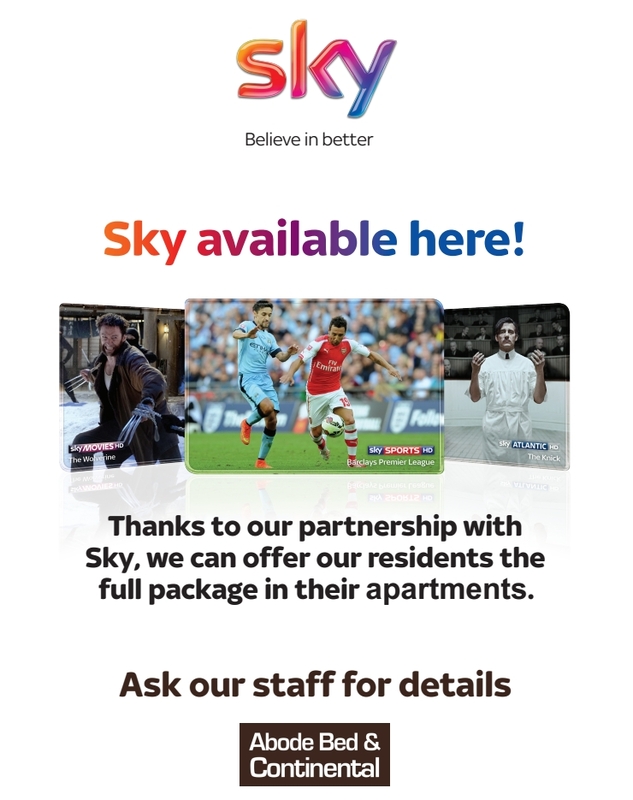 We at Abodebed are excited to announce that we can now offer all of our guests a brilliant Sky package when they stay in any of our apartments. The HD solution consists of 400+ channels and a Sky+ recordable box meaning when you stay with us it is a true home from home experience. The package includes, sports channels for you budding football fans, entertainment channels featuring MTV, sky news and Sky movies plus a great collection of children’s channels like Nickelodeon and the Disney Channel. With something for everyone there will be no need to argue over the remote.